The first week of November, I was fortunate enough to travel across the southeast visiting with printers in Tennessee and representing the University of Washington Press at the 36th annual Charleston Conference in South Carolina. 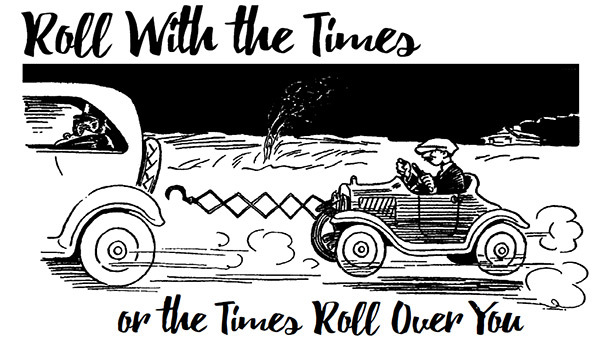 The Charleston Conference is billed as an “informal gathering of librarians, publishers, consultants, and vendors to discuss issues of importance to them all.” While the conference may have humble origins, with a scant twenty participants in early meetings, 2016 featured over 1,600 attendees spread across a dozen hotels and venues with a program as thick as a phone book and as many as twenty concurrent sessions at any given time. This was a big to-do, even in comparison to the annual meeting of the Association of American University Presses. This entry was posted in AAUP, Guest Post, UW Press News and tagged Charleston Conference on November 30, 2016 by uwpressblog. The following interview originally appeared in the Smithsonian magazine newsletter and is adapted and used with permission. 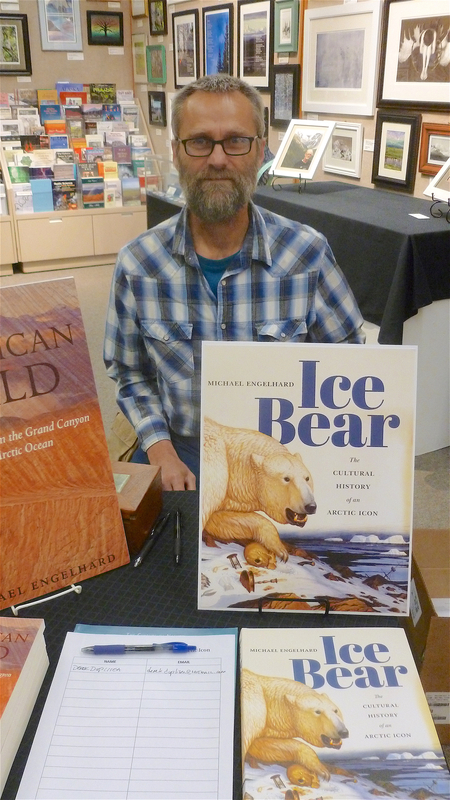 The product of meticulous research, Ice Bear: The Cultural History of an Arctic Icon by Michael Engelhard traces and illuminates over 8,000 years of history between polar bears and humans. With more than 160 color illustrations, Engelhard brings into focus the powerful and elusive White Bear—and explains how and why it endures as a source of wonder, terror, and fascination. What new angle does your book bring out about polar bears? I am proud to say that Ice Bear is the only book available in any language that focuses entirely on the cultural aspects of polar bears—on 8,000 years of history shared between them and us. Why have polar bears captured the human imagination? For a number of reasons: From their physique to their behavior, they resemble us in many ways. They are big, charismatic top predators living in one of Earth’s most unforgiving environments. They are symbolic of the Arctic, one of the last frontiers of the human imagination. Lastly, we’ve long associated whiteness in animals with certain qualities: the rare, the pure, or the sacred. What’s the biggest misconception people have about the polar bears? That they’re ruthless “man killers.” I think they are just getting a bad rap, often getting in trouble for what only amounts to curiosity—a trait that, ironically, makes them survivors in a sparse environment. The statistics show that brown bears kill and maul more people per year than polar bears do. Of course their smaller numbers and remoteness also play a role there. Like most creatures, polar bears just want to eat, to keep living, and to protect their young. 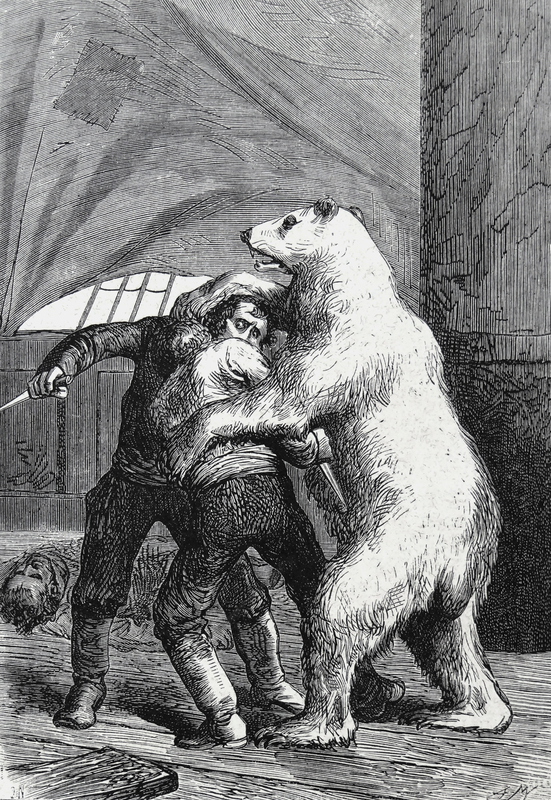 “The bear gripped them both.” Art by Adrien Marie and Barbant from “Le Docteur Ox” by Jules Verne (1874). Which individual story or fact were you most surprised to uncover? It’s hard to choose. But I enjoyed learning about a scheme to train polar bears to pull Amundsen’s sleds to the pole. It involved the German circus entrepreneur and animal trader Carl Hagenbeck, who also revolutionized zoo design. Also, the early medieval commerce in Greenlandic polar bear cubs, which Norse settlers traded to European royalty, for their menageries. How has writing the book changed the way you see polar bears? I only now realize the degree to which they have been instrumentalized, how we always have molded them to fit our agendas. With all the symbolic ballast and history, it is hard, perhaps even impossible, to see them objectively. That’s because hardly any other animal has been burdened more with our projections. It’s as if their whiteness and remoteness invited that. Michael Engelhard works as a wilderness guide in Arctic Alaska and holds an MA in cultural anthropology from the University of Alaska Fairbanks. His books include Where the Rain Children Sleep: A Sacred Geography of the Colorado Plateau, the anthology Wild Moments: Adventures with Animals of the North, and a recent essay collection, American Wild: Explorations from the Grand Canyon to the Arctic Ocean. His writing has also appeared in Sierra, Outside, Audubon, National Wildlife, National Parks, High Country News, and the San Francisco Chronicle. This entry was posted in Guest Post, Nature, Q&A and tagged Ice Bear on November 21, 2016 by uwpressblog. 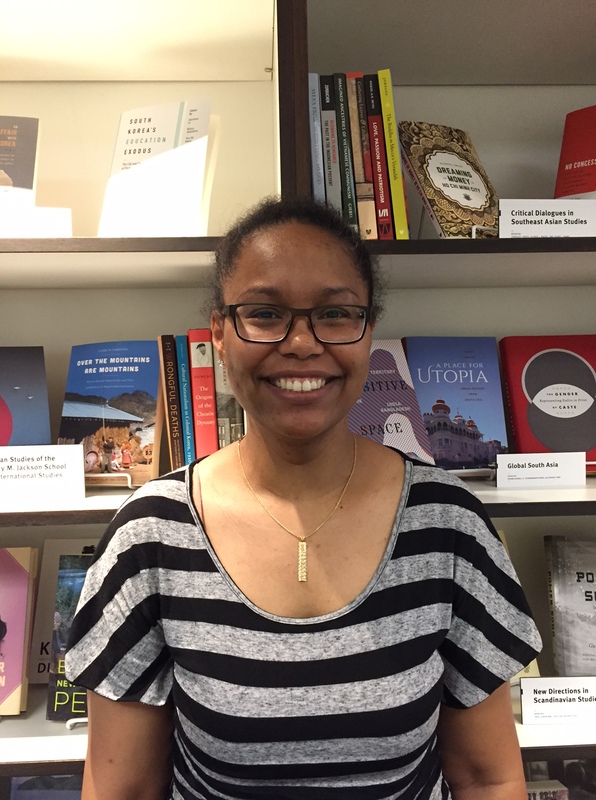 Our UP Staff Spotlight contribution to the #UPWeek blog tour offers a guest post from 2016-2017 Mellon University Press Diversity Fellow and assistant editor, Niccole Leilanionapae’aina Coggins. Coté spoke of her mother teaching her to explore and try various wild plants—minus mushrooms—like qaalh qawi (wild blackberry), may’ii (salmonberry shoots), and quilhtsuup (wild celery), even t’uts’up (sea urchin) from the ocean. Coté shared stories of her aunt going blackberry picking; the family women fishing, in the traditional way, with a net for the first time, and the buckets of salmon they caught, and the hours it took to smoke (and how good salmon jerky is). Coté also talked about her community reclaiming traditional ways of fishing and preparing salmon, kuch’as (salmon cooked over an open pit fire); and reviving the tradition of a whale hunt and the environmentalists that protested. As Coté talked I started thinking about other communities, especially those in “food deserts,” where it’s hard to access affordable, healthy, quality food, in particular fruits and vegetables. My cousin worked at the Kaiser Permanente Center in Watts where, with the leadership of the community, a weekly farmer’s market occurs. Other KP centers adopted similar programs to access locally grown produce. I thought about my family and the blackberry bush behind gramma’s house. My aunts and uncles gathering to eat from the bounty of the ocean: fish, ‘opihi (Hawaiian limpet), limu (seaweed), and wana (sea urchin). I thought about the colonialism that changed Native Hawaiians’ relationship with food and language. Food was sacred before the missionaries arrived and made food secular. Since then words associated with food do not carry the same weight of sacredness as before. The literal translation of the word hānai (foster child) is “to feed.” When food is sacred, the relationship you have with that person is sacred and carries weight. It circles back to Coté’s talk about food sovereignty, and responsibility and relationships. This entry was posted in AAUP, Guest Post, Native American and Indigenous Studies and tagged AAUP, Association of American University Presses, University Press Diversity Fellowship, University Press Week on November 16, 2016 by uwpressblog. If your family is anything like mine, the season of giving is a non-stop search for just the right book for everyone in our lives—Mom loves history! Dad loves art! Siblings love local food! 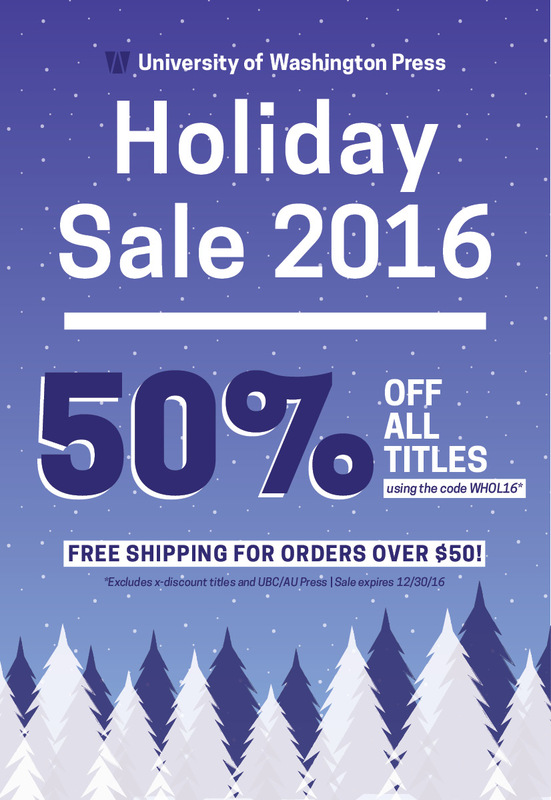 Luckily University of Washington Press has you covered with a range of books that will surely appeal to everyone on your list. Feeling lucky? Enter our Holiday Book Bundle giveaway using the form at the bottom of this post for a chance to win free copies of some of our favorite holiday picks, including the ones featured here. Ice Bear: The Cultural History of an Arctic Icon by Michael Engelhard combines amazing art and illustrations with a fascinating history of the polar bear. With over 170 color illustrations, Engelhard shows us the full scope of the polar bear’s appeal and ensures you’ll never think of the polar bear the same way. The Tao of Raven: An Alaska Native Memoir by Ernestine Hayes tells the poignant and lyrical story of Hayes’s return to Juneau and to her Tlingit home after many years away. Interweaving her personal history with the story of the Raven and the Box of Daylight, Hayes illuminates her frustration and anger at what still faces Alaska Natives in their own land while examining her own evolution as a writer. Birds of the Pacific Northwest: A Photographic Guide by Tom Aversa, Richard Cannings, and Hal Opperman has over 900 illustrations and shows off the birds that live in our coastal rainforest, North America’s northernmost deserts, and the northern/mid-Rockies to the east. This entry was posted in Art and Art History, Environmental History, History, Literature, Memoir, Native American and Indigenous Studies, Nature, News, Nonfiction, Pacific Northwest, Politics, US History, UW Press News, Western History and tagged Anybody Can Do Anything, Birds of the Pacific Northwest, Defending Giants, Haida Gwaii, Ice Bear, Looking for Betty MacDonald, Onions in the Stew, Tao of Raven, The Plague and I, Up Here on November 4, 2016 by uwpressblog.